At Pristine we work closely with our customers to understand and deliver the project you have in mind. Whether traditional, contemporary or bespoke, we will offer honest advice and guidance to ensure you make the best decision for your needs. All jobs are undertaken in a sincere and attentive manner, providing a finish that we are both proud of. 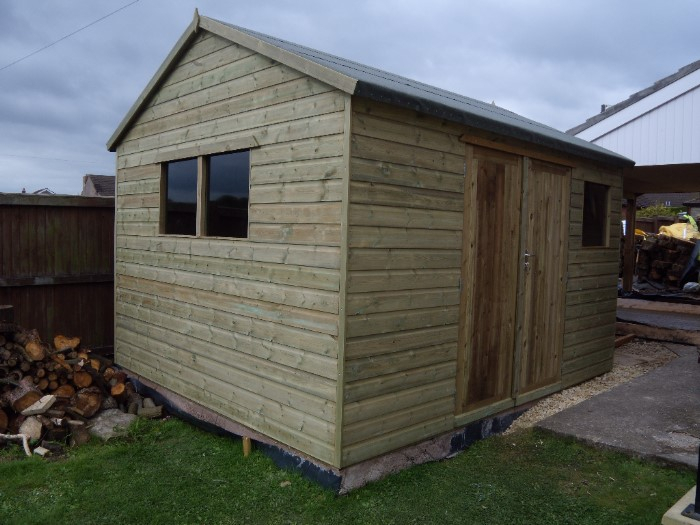 All our buildings are constructed using Regularised Tanalised Dry Graded C16 or greater timber. The treatment used is to spec UC3 (Use Class 3) for exterior use and out of direct ground contact. Tanalised timber is timber pressure treated and impregnated with Tanalith E preservative to provide, clean, bright and long life timber. 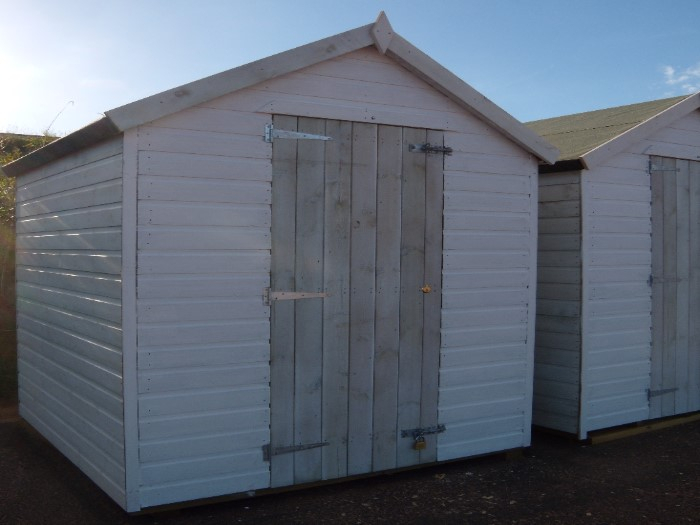 The preservative is completely fixed within the timber and will not leak out in any environment. Timber is a Natural Product and will continually expand and contract throughout the year, in turn this movement may vary from section to section. The roof and floor areas of are buildings incorporate Oriented Strand Board (OSB). This is a manufactured panel designed for construction purposes and consists of chips of wood instead of a continuous veneer, markedly different from chipboard due to its specialised construction which gives it structural qualities more akin to plywood. 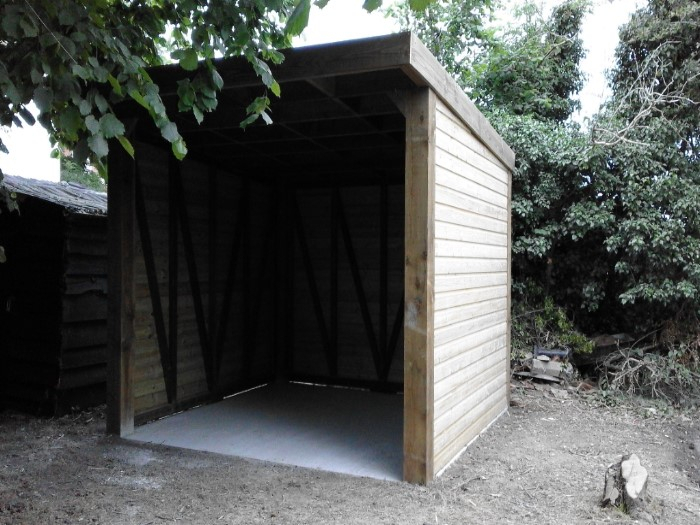 OSB Sterling board is a credited structural panel with the same performance standards as softwood plywood but with superior moisture tolerance and reduced susceptibility to warping and ply separation. 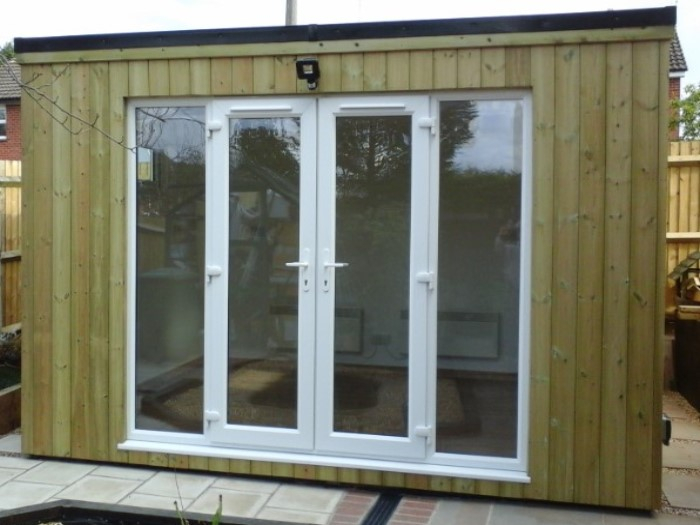 All our garden buildings are wrapped in an insulated waterproof breathing membrane. The breathing membrane works like a one way valve allowing moisture to escape but stops moisture entering, thereby preventing 'cold spots' where moisture may collect. The garden building incorporates a double vented timber walls. The first vent allows air between the outer timber cladding and the breathing membrane. The secondary vent allows air to circulate between the breathing membrane and the internal rigid thermal insulation panels. This duel vented system allows the structure to fully breathe while maintaining a balanced internal atmosphere. All our buildings are installed with rigid insulation board, providing the highest rate of return per square metre for part-L compliance. Rigid insulation boards are recognised for their compressive strength, dimensional stability and lifespan. 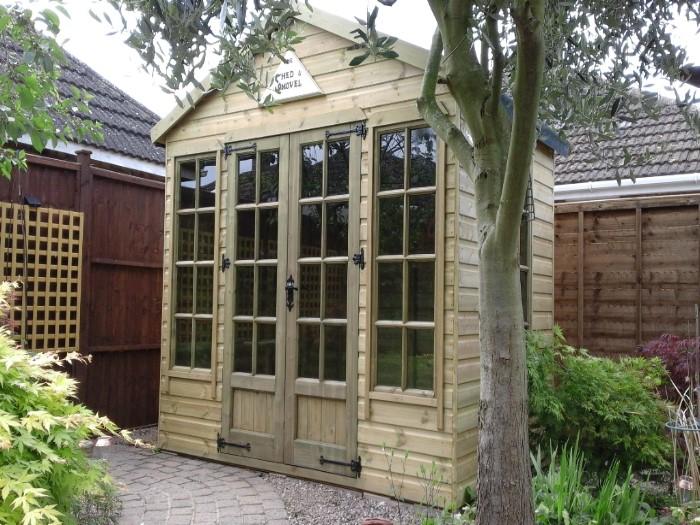 Our garden buildings can be clad using a range of claddings according to project budgets. 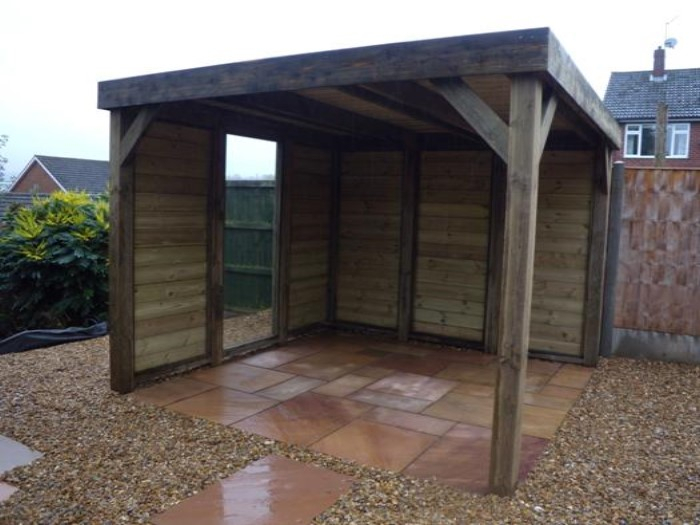 They include, Treated Redwood, Thermowood, Western Red Cedar and Upvc. 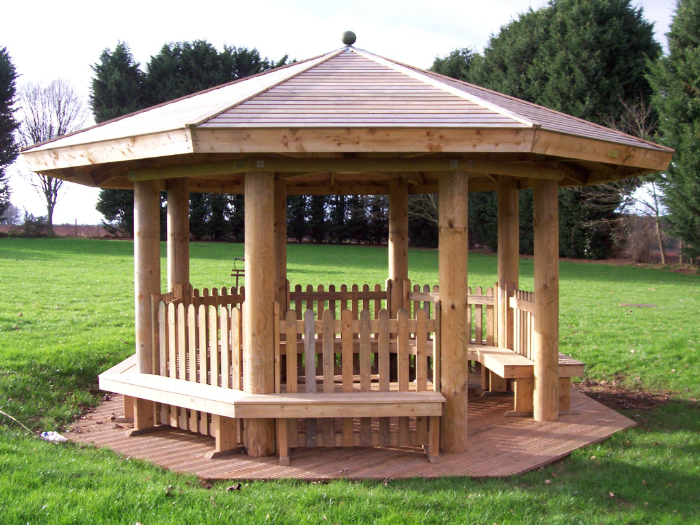 Treated Redwood European Larch is fantastic building material and is valued for its durable, waterproof and tough qualities. The timber is also remarkably knot free and provides an excellent quality construction material. Due to the waterproof qualities of the timber, boats and yachts are often made from larch. Its resistance to rot also means that the wood is suitable for exterior cladding and interior panelling in buildings. House construction using this particular timber is very popular in Central Europe, where Larch is considered the best material. 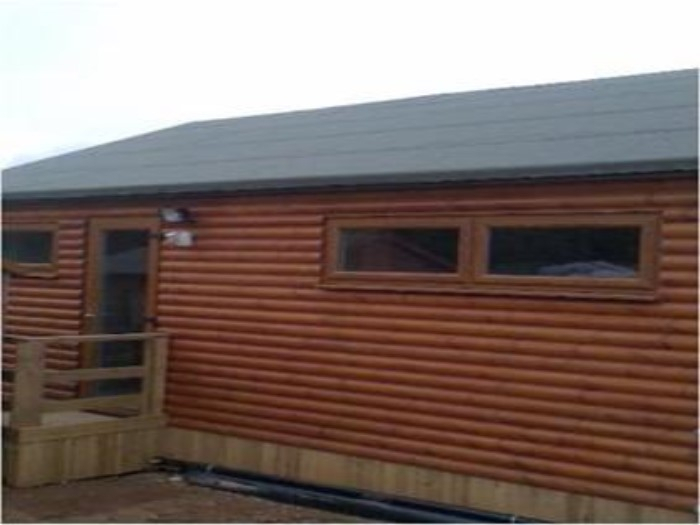 Four our top specification cladding we use clear (knot free) Western Red Cedar. It has a very low shrinkage factor and is superior to all other coniferous woods in its resistance to warping, twisting and checking. The conduction of heat in wood is directly related to its density. Woods with low density have the highest thermal insulating value because such woods contain a high proportion of cell cavities. In dry wood, these cavities are filled with air which is one of the best known thermal insulators. With its low density and high proportion of air spaces, Western Red Cedar is the best thermal insulator among the commonly available softwood species and is far superior to brick, concrete and steel. 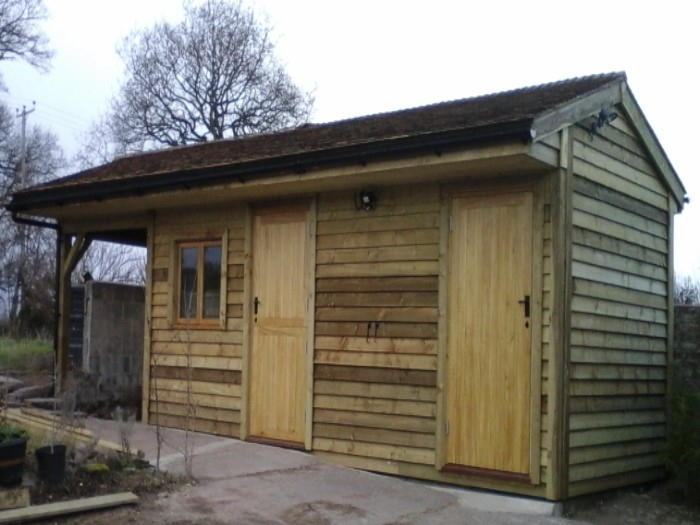 This could be an ideal solution if you want to achieve a beautiful building on a smaller budget. This cladding uses a Finnish grown pine which is treated to temperatures in excess of 2000C. During the heat treatment, chemical and structural changes occur within the timber that alter and enhance some of its basic properties. 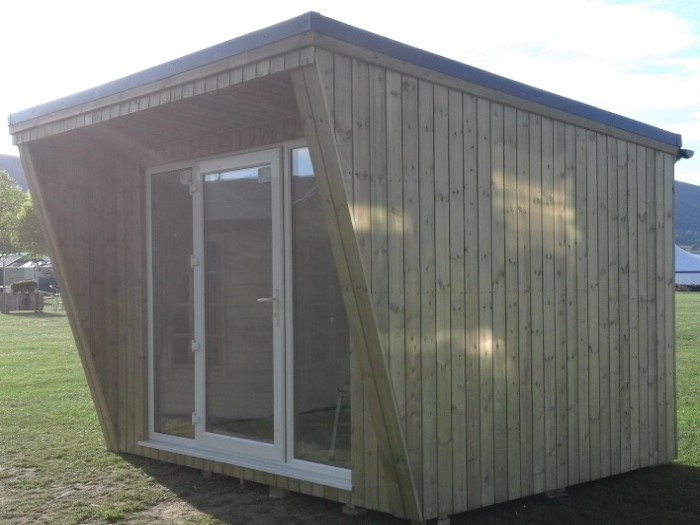 The resulting product is an altogether more durable and stable timber, an ideal material for use in exposed areas such as external wall claddings in garden buildings. 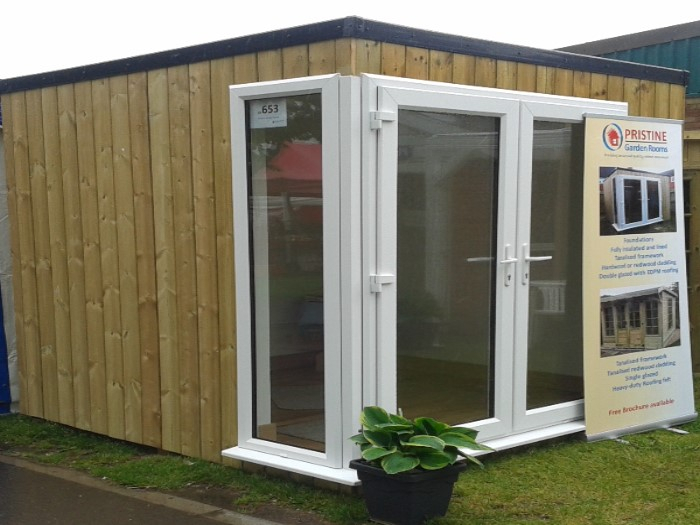 The windows and doors are reinforced with galvanised steel, internally glazed with toughened safety Glass and fitted with Multipoint Locking systems. All double glazed units are supplied with a 10 year colourfast guarantee (White Only UPVC). 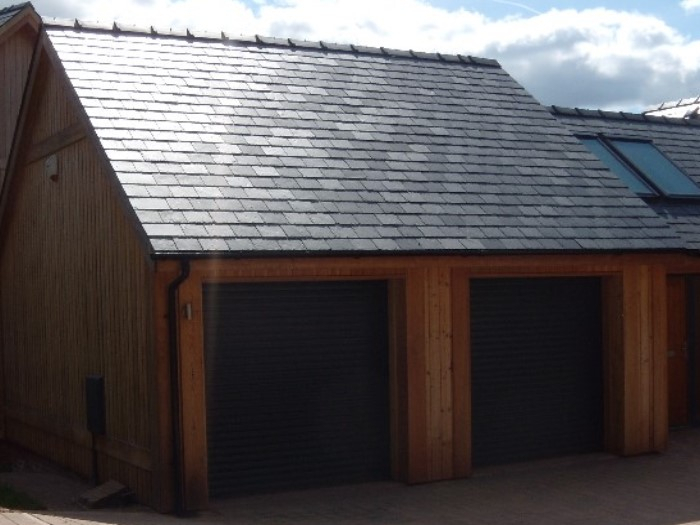 All our buildings use a Rubber Cover one-piece single ply EPDM (ethylene propylene diene monomer) sheet, produced by Firestone with a 20-year manufacturer backed warranty..
All our roofs incorporate a fall for water to run off into black plastic guttering and down-pipe which is situated at the rear of the building.